There are at least 52 major American Jewish organizations actively engaged in promoting Israel’s foreign policy, economic and technological agenda in the US (see the appendix). The grassroots membership ranges from several hundred thousand militants in the Jewish Federations of North America (JFNA) to one hundred thousand wealthy contributors, activists and power brokers in the American Israel Public Affairs Committee (AIPAC). In addition scores of propaganda mills, dubbed think tanks, have been established by million dollar grants from billionaire Zionists including the Brookings Institute (Haim Saban) and the Hudson Institute among others. Scores of Zionist funded political action committees (PAC) have intervened in all national and regional elections, controlling nominations and influencing election outcomes. Publishing houses, including university presses have been literally taken over by Zionist zealots, the most egregious example being Yale University, which publishes the most unbalanced tracts parroting Zionist parodies of Jewish history (Financial Times book review section August 28/29 2010). New heavily funded Zionist projects designed to capture young Jews and turn them into instruments of Israeli foreign policy includes “Taglit-Birthright” which has spent over $250 million dollars over the past decade sending over a quarter-million Jews (between 18-26) to Israel for 10 days of intense brainwashing (Boston Globe August 26, 2010). Jewish billionaires and the Israeli state foot the bill. The students are subject to a heavy dose of Israeli style militarism as they are accompanied by Israeli soldiers as part of their indoctrination; at no point do they visit the West Bank, Gaza or East Jerusalem (Boston Globe August 26, 2010). They are urged to become dual citizens and even encouraged to serve in the Israeli armed forces. In summary the 52 member organizations of the Presidents of the Major American Jewish Organizations which we discuss are only the tip of the iceberg of the Zionist Power Configuration: taken together with the PACs, the propaganda mills, the commercial and University presses and mass media we have a matrix of power for understanding the tremendous influence they have on US foreign and domestic policy as it affects Israel and US Zionism. There are several approaches for measuring the power of the combined Zionist organizations and influential occupants of strategic positions in government and the economy. These include (a) reputational approach (b) self claims (c) decision-making analysis (d) structural inferences. Most of these approaches provide some clues about Zionist potential power. 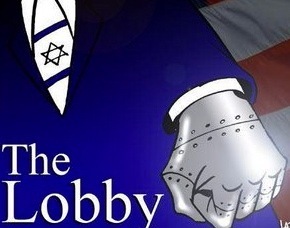 For example, newspaper pundits and journalists frequently rely on Washington insiders, congressional staff and notables to conclude that AIPAC has the reputation for being one of the most powerful lobbies in Washington. This approach points to the need to empirically examine the operations of AIPAC in influencing Congressional votes, nomination of candidates, defeating incumbents who do not unconditionally support the Israeli line. In other words analyzing the Congressional and Executive decision- making process is one key to measuring Zionist power. But it is not the only one. Zionist power is a product of a historical context, where media ownership and wealth concentration and other institutional levers of power come into play and shape the current decision-making framework. Cumulative power over time and across institutions creates a heavy bias in the political outcomes favorable to Israel’s organized agents in America. Once again the mere presence of Jews or Zionists in positions of economic, cultural and political power does not tell us how they will use their resources and whether they will have the desired effect. Structural analysis, the location of Zionists in the class structure, is necessary but not sufficient for understanding Zionist power. One has to proceed and analyze the content of decisions made and not made regarding the agenda of Israel’s backers operating in the USA. The 52 major Zionists organizations are very open about their claims to power, their pursuit of Israel’s agenda and their subservience to each and every Israeli regime. Those who deny Zionist power over US Mid East foreign policy are left-Zionists namely Noam Chomsky and his acolytes. They never analyze the legislative process, executive decision-making, the structures and activity of the million member Zionist grassroots and the appointments and background of key policy makers deciding strategic policies in the Middle East. Instead they resort to superficial generalizations and political demagogy, imputing policy to “Big Oil” and the “military-industrial complex” or “US imperialism”. Categories devoid of empirical content and historical context about real existing policy making regarding the Middle East. Levey coordinates his campaign with Zionist leaders in Congress. He secures sanctions legislation in line with his campaigns. His policies clearly violate international law and national sovereignty, pressing the limits of extra territorial enforcement of his administrative fiats against a civilian economy. His violation of economic sovereignty parallels Obama’s announcement that US Special Forces would operate in violation of political sovereignty on four continents. For all intents and purposes, Levey makes US policy toward Iran. At each point he designs the escalation of sanctions, and then passes it on to the White House, which shoves it down the throats of the Security Council. Once new sanctions approved by Levey and staff are in place they are there to enforce them: identifying violators and implementing penalties. Treasury has become an outpost of Tel Aviv. Not a single leftist, liberal or social democratic publication highlights the role of Levey or even the terrible economic pain this Old Testament fanatic is inflicting on 75 million Iranian civilian workers and consumers. Indeed like Israel’s Judeo-fascist rabbis who preach a “final solution” for Israel’s enemies, Levey announces new and harsher “punishment” against the Iranian people (Stuart Levey, “Iran’s New Deceptions at Sea Must be Punished” FT 8/16/2010, p. 9). Perhaps at the appropriate moment the Jewish State will name a major avenue through the West Bank for his extraordinary services to this most unholy racist state. The Israel Lobby Archive recently released declassified documents of the American Zionist Council (AZC) subpoenaed during a US Senate investigation between 1962-63. The documents reveal how the Israeli state through its American Jewish conduits – the mainstream Zionist organizations – penetrated the US mass media and propagated its political line, unbeknownst to the American public. Stories written by a host of Jewish Zionist journalists and academics were solicited and planted in national media such as The Readers Digest, The Atlantic Monthly, Washington Post among others, including regional and local newspapers and radio stations (Israel Lobby Archive, August 18, 2010). While the national Zionist organizations procured the journalists and academic writers and editors, it was the local affiliates who carried the message and implemented the line. The level of infiltration the Senate subpoenaed Zionist documents in the 1960’s reveal has multiplied a hundred fold over the past 50 years in terms of financing, paid functionaries and committed militants and above all in structural power and coercive capability. While the national leaders in close consultation with Israeli officials receive instructions on which issues are of high priority, the implementation follows a vertical route to regional and local leaders, politicians, and notables who in turn target the local media and religious, academic and other opinion leaders. When national leaders ensure publication of pro Israeli propaganda, the locals reproduce and circulate it to local media and non-Zionist influentials on their “periphery”. Letter campaigns orchestrated at the top are implemented by thousands of militant Zionist doctors, lawyers and businesspeople. They praise pro-Israel scribes and attack critics; they pressure newspapers , publishing houses and magazines not to publish dissidents. The national and local leaders promote hostile reviews of books not promoting the Israeli line, influence library decisions to pack their shelves with pro Israeli books and censor and exclude more balanced or critical histories. Local militants in co-ordination with Israeli consuls saturate the public with thousands of public meetings and speakers targeting Christian churches, academic audiences and civic groups; at the same time local Zionist militants and, especially millionaire influentials, pressure local venues (university administrators, church authorities and civic associations) to disinvite any critic of Israel and their supporters from speaking. In the last resort, local Zionists demand that a pro-Israel propagandist be given equal time, something unheard of when an Israel apologist is scheduled to speak. Local Zionist organizations make yeoman efforts to recruit mayors, governors, local celebraties, publishers, church people and promising young ethnic and minority leaders by offering them all expenses paid propaganda junkets to Israel and then to write or give interviews parroting what they were fed by Israeli officials. Local leaders mobilize thousands of militant activist Zionists to attack anti-Zionist Jews in public and private. They demand they be excluded from any media roundtables on the Middle East. The power of Israel in the US does not reside only in the influence and leadership of powerful Washington based “pro-Israel lobbies”, like AIPAC. Without the hundreds of thousands of militant locally based dentists, podiatrists, stockbrokers, real estate brokers,profesors and others, the “lobby” would be unable to sustain and implement its policy among hundreds of millions of Americans outside the major metropolises. As we have seen from the Senate declassified documents, over a half-century ago, local Zionist organizations began a systematic campaign of penetration, control and intimidation that has reached its pinnacle in the first decade of the 21st century. It is no accident or mere coincidence that University officials in Northern Minnesota or upstate New York are targeted to exclude speakers or fire faculty members critical of Israel. Local Zionists have computerized databanks operating with an index of prohibited speakers, as the Zionists themselves admit and flaunt in contrast to “liberal” Zionists who are prone to label as “anti-Semitic” or “conspiracy theorists” writers who cite official Zionist documents demonstrating their systematic perversion of our democratic freedoms.